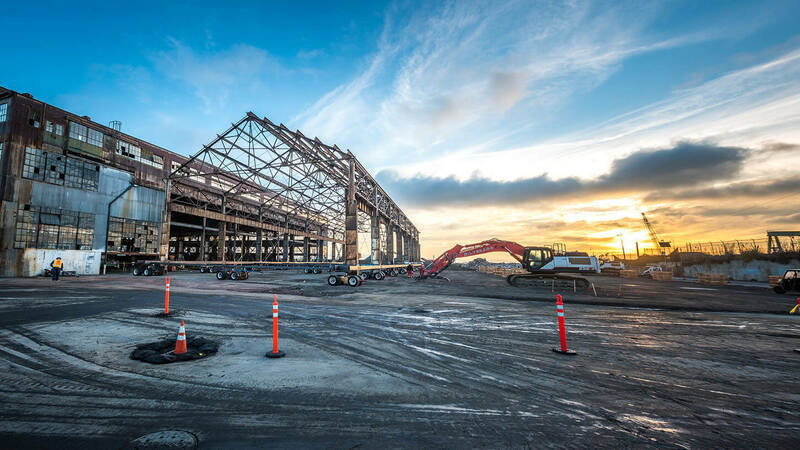 In December of 2018, Mammoet completed a successful transport of a 192.5 ton steel building frame. This move was part of Pier 70 revitalization project in San Francisco. The building frame was moved to a temporary storage location, where it will be housed while the historic pier undergoes renovations. Sixteen Holland Dollies were used under the structure for their ease of alignment and operation.